If you are struggling with a substance use problem and you begin seeking help, most people will immediately tell you to go to a meeting. 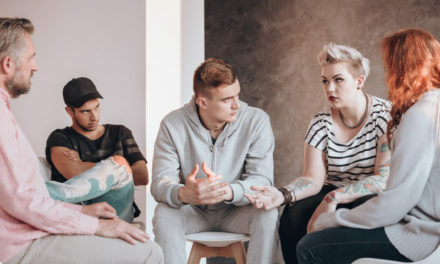 The meeting they are talking about is Alcoholics Anonymous, Narcotics Anonymous, or one of the other myriad of 12 step self help meetings that are available in millions of church basements and community centers around the world. Since the book, Alcoholics Anonymous, was released by William G. Wilson and his co-authors in 1935, the 12-step program has become the primary method of help for people with substance use problems. Courts around the country mandate people to attend meetings if they have a charge or conviction even remotely related to substance use. Most rehab programs primary mode of treatment is 12-step facilitation, and many rehab centers include 12 step meetings as a main component in their treatment. Treatment programs all recommend extended aftercare, which almost exclusively involves daily attendance at 12 step meetings. Recently the 12-step program has fallen under intense scrutiny as outcomes for 12 step treatment and participation in 12 step groups are very poor. It turns out that relapse rates for 12 step based treatment programs are estimated at 80% or higher and rates of binge usage and return to heavy usage are higher for people who have been exposed to the 12-step, powerlessness belief system. It’s free. Many 12 step proponents will point to the fact that there is no financial cost to attend a 12 step meeting, therefore they say it is the only free help available for the heavy substance user. (This is actually not the case, there are other options, but we’ll save that for a different article.) And it being free is true for the most part, but much like when you attend a church service, there is usually a point during the meeting where one of the group members will cite the 7th tradition (“Every AA group ought to be self-supporting…”), and they will pass a basket and everyone puts a dollar in it. So perhaps each meeting may cost you a dollar, but that’s minimal compared to the cost of seeing a professional therapist or counselor or going into a treatment program. With that said, there is a saying that you might want to consider if cost is your number 1 consideration: “You get what you pay for.” The question you should then ask is, “What will I get at a 12 step meeting for my investment of a dollar and an hour of my time?” Read on and you will see. Responsibility is not your thing. Step 1 of the 12 step program states: “We admitted that we are powerless over alcohol (drugs) and that our lives had become unmanageable.” Treatment professionals will tell you that this first step is crucial and sets the stage for your lifelong recovery to begin. They will talk about how important it is to fully accept that you are powerless over alcohol and drugs; and that means that you must commit to a lifetime of abstinence from all substances, even those that were not previously a problem for you. For many this commitment to complete abstinence and powerlessness thinking is a major obstacle, and that is likely why nearly 50% of people who try 12 step meetings, stop going by the end of their first month. Sadly, those who take on the powerlessness belief fully, have higher rates of return to heavy usage. (Miller, et.al., 1996) Ironically, those who accept they are powerless, and then struggle between abstinence and usage are often ostracized, and in some cases, bullied by 12 step group members. Many members will parrot, “The only requirement for membership is a desire to stop drinking (drugging).” So if you struggle with “relapse” it must mean you don’t truly want to stop badly enough. 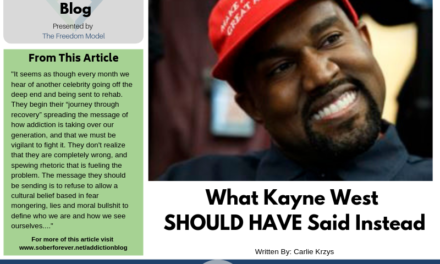 In a nutshell, on the one hand you may find comfort in the idea that you are powerless and therefore the problems caused by your substance use are not entirely your fault, yet on the other hand, you will be held accountable by treatment providers and your peers in the 12-step program if you actually act powerless with respect to substances. You want a new friend. If you go to your first meeting and admit in the meeting that this is your first meeting or you are a new member, you will be told that you must pick a sponsor as soon as possible. Some people may actually come to you to solicit their services, hoping you will pick them. It can be a bit flattering at first, but it may be best to steer clear from those that seem too eager to “sponsor” you. You’re told to pick someone who “you want what they have”. In other words if you are seeking 10 years of sobriety, find a sponsor who already has 10 years. Then, the theory goes, you can do what they did and get what they’ve got. It can be nice to have a new friend whose job it is to listen to your struggles and guide you in doing the steps. While some sponsors take a more hands off approach and let you come to them, which is nice, there are others who take their job very seriously and may call you daily, reprimand you if they don’t see you at a meeting and get involved in many aspects of your personal life as a means to help you. Your sponsor is supposed to be your confidant; someone that will keep your secrets and whose only goal should be to help you. However, please keep in mind, your sponsor is not a professional bound by HIPAA laws; they are a virtual stranger who most likely shows up at meetings for the exact same reasons you do. You are open to conversion. Many people will tell you that AA and NA are spiritual, but not religious. This way those who shy away from religion or are non-believers all together will not be disinclined to join. The truth is 7 of the 12 steps directly mention God and/or prayer. 4 of the steps are about exploring your personal shortcomings and how you’ve hurt others, and the last step is about recruiting people to the fellowship (i.e. evangelizing). 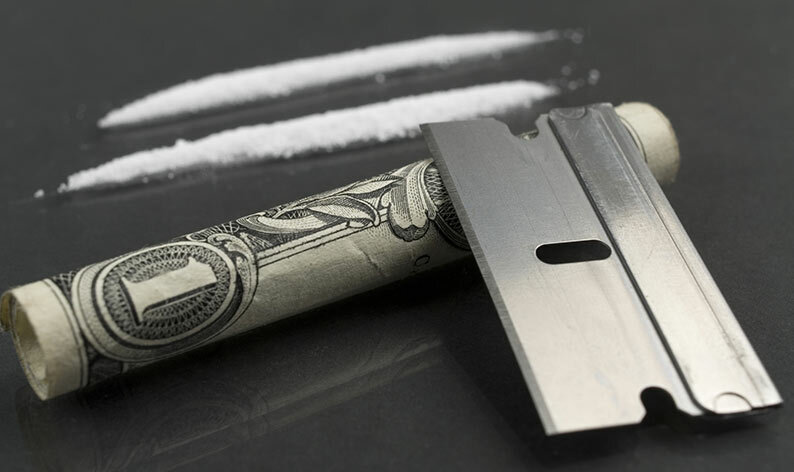 It is assumed in the program that your heavy substance use problems stem from the fact that you must be selfish and self-centered to an extreme, and that you have led an entirely hedonistic lifestyle in all your affairs. The 4th Step requires you to write a “searching and fearless moral inventory” of yourself. For some this can become a long listing of not only the wrongs you committed against others, but also wrongs that you feel were committed against you. Be prepared because the 5th Step requires you to read this “searching and fearless moral inventory” including your deepest and darkest personal secrets to your sponsor who will then ask you to identify your part in all of it. This means you must find your part even in wrongs that were committed against you. For example, if you were molested by a parent at 8 years old, you sponsor may ask you to find your part in it. She will remind you that all of your problems are the result of your selfish ways. Then you will be told that you can rid yourself of your sinful ways by doing Steps 6 & 7, where you become ready to have God remove your shortcomings, and humbly ask him to do so. The goal of this process of for you to become pillar of spirituality, selflessness and goodness which in turn is supposed to keep you from drinking and using drugs. You are ready to let it all go. Once you enter the rooms of AA, you will learn quickly that you must shed “people, places and things” that will “trigger” you to return to substance use. This means you must leave behind friends, family, co-workers (or the job itself), a spouse or lover, even your therapist; anyone with whom you’ve drank or used drugs, anyone that causes any conflict in your life, and anyone that doesn’t support you going to the meetings you need which is minimally one meeting per day (for some it’s even more). If you have many strained relationships, this can be quite a relief as you now have a permanent excuse to avoid all future conflict with these people. Another benefit is you can also set aside some personal obligations and responsibilities. Instead of being home with the family each evening to help with dinner, household chores and caring for the children, you must go to a meeting each night. Your sobriety, is, after all, your very top priority. How can you serve anyone if you don’t take care of yourself? You will now create a new family and new friends with people that understand you like no one else can. You will have new responsibilities to this new family. You must constantly strive to be of service to people in recovery anytime they call. If Sandra from your Sunday night group needs a ride to the grocery store, you must make yourself available. If Marty is feeling down at 2 AM and is thinking about drinking, you must talk with him or go meet him at an all night diner. If Bill’s wife kicked him out and he asks to crash at your place, it’s expected that you will let him do so or you may be judged as being selfish which can lead you back to substance use. After all, service only really counts when it’s inconvenient for you. Even your sponsor may be in need and may call to ask you to help him or someone else who called him for help. He will tell you how helping this person will be to your benefit, and then to bolster his claim he may tell you stories of the selfless acts he performed in his early days in the program. With this wonderful new family there is a caveat, if you start to question the service work, the ritual, the steps, or other dogma in any way, some of these newfound friends will work to bring you back in line. If you continue to question or you struggle with relapse a bit too much, many is this new family will implement their version of tough love which may include public humiliation, cyber-bullying, shunning, threats, etc., all in an effort to help you, of course. 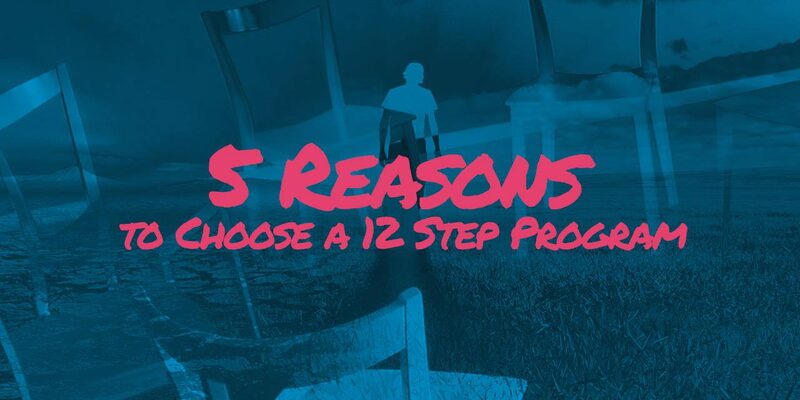 These are just 6 of many reasons that you may want to choose a 12 step program. Many people will say that 12 step programs and treatment based on it works. 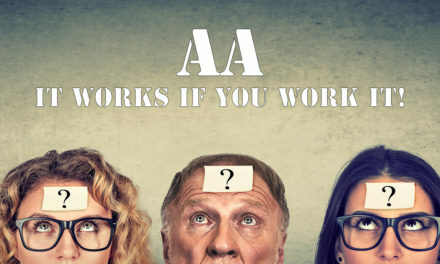 Perhaps it does, but that depends entirely on your definition of “works” and what you are seeking. If you are seeking a program that requires you to change virtually every aspect of your life; to accept that you are suffering from a progressive, incurable disease that makes you powerless over substances; that requires you to turn your will and your life over to the care of God, and take on a recovery lifestyle which includes daily attendance at 12 step meetings and a lifelong commitment to complete abstinence and working to help others in the program; where relapse is expected, but you are blamed for said relapse; and that requires you to continuously work toward total selflessness, spiritual enlightenment and doing God’s will in all your affairs, then the 12 step program may just work for you. Miller, W. R., Westerberg, V.S., Harris, R. J. & Tonigan, J. S. (1996). What predicts relapse? Prospective testing of antecedent models. Addiction (Abingdon, England), 91 Suppl, S155-172. Michelle Dunbar is the co-author of The Freedom Model for Addictions: Escape the Treatment and Recovery Trap and The Freedom Model for the Family. 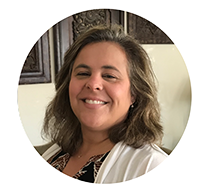 She is also Executive Director of Baldwin Research Institute, Inc., and The Freedom Model Retreats, not-for-profit research organizations with the mission to change the way people with substance use problems are helped worldwide. Are Meetings Necessary After You Go To Rehab?